Even though we weren't allowed to upgrade our room the price of this trip and all it entailed was phenomenal for Hong Kong and Macau. 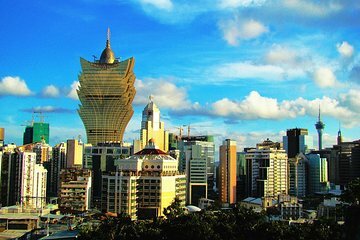 It included a tour of the city as well as a tour to Macau and hotel stay including breakfast. You can not find a better deal than this for 4 days and 3 nights in Hong Kong! This was an very good tour even though the tour guide spoke english it was hard to understand him at times but we made the most of it. The sites where wonderful. This was an excellent tour for the value. We were not completely impressed with the hotel but for the price of the tour and what it included it was well worth it!